Who's contesting in Punggol East? It is a four-cornered fight for the single-seat ward of Punggol East. Who's contesting, and what issues will they champion? Singapolitics looks at the candidates. 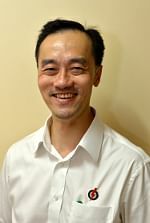 Occupation: Colorectal surgeon; owns a private practice at Mount Elizabeth Medical Centre; part-time consultant at Changi General Hospital; an adjunct assistant professor at Duke-NUS Graduate Medical School; and a clinical lecturer with the Yong Loo Lin School of Medicine at the National University of Singapore (NUS). Marital status: Married to a doctor, with two daughters, aged nine and four. 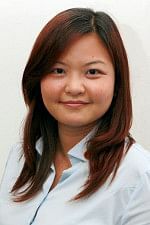 Education: Attended the former MacRitchie Primary, Maris Stella High School and Hwa Chong Junior College; studied medicine at NUS and has a fellowship from the Royal College of Surgeons of Edinburgh and the Academy of Medicine in Singapore. What he will champion in Punggol East: Improve childcare facilities, get more resources for the community centre and tackle renovation problems caused by the delay in upgrading Rivervale Plaza shopping mall. 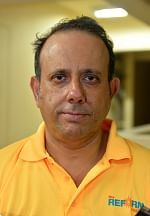 Occupation: Principal engineer with telco M1; secretary-general of Singapore Democratic Alliance (SDA). Marital status: Wife is an insurance agent. Their son is aged one. Education: Masters in engineering management (University of Wollongong in New South Wales, Australia). Electoral history: Active in politics since 1992. 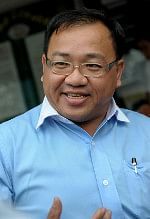 Stood on SDA ticket in Punggol East in 2011; got 4.45 per cent of the vote and lost his $16,000 election deposit. To avoid forfeiting his deposit, he needed to get at least 12.5 per cent of the votes cast. What he will champion in Punggol East: Building a hawker centre or coffee shops; lobbying for more frequent bus services and more childcare centres; pledging to channel one-third of his MP allowance to set up an insurance scheme for Punggol East residents. Electoral history: Contested in Punggol East in the 2011 General Election. Joined WP in 2006. What she will champion in Punggol East: “At the local level, residents have highlighted the traffic situation and the lack of facilities like childcare centres and coffee shops in the neighbourhood. Occupation: Former hedge-fund manager, now a full-time democracy activist. Marital status: Married to Amanda, and they have a 15-year-old son. Education: BA (first class honours) and MA in economics from Cambridge University, England. Languages spoken: English and Malay. Electoral history: Contested in West Coast GRC in the 2011 General Election. Joined Reform Party in 2009. What he will champion in Punggol East: At the local level, he will look into the delayed upgrading works at Rivervale Plaza, installation of lifts in multi-storey carparks and cleanliness of the estate.